The Force ranked third in the "Top Donors - Civil Service Category" by The Community Chest of Hong Kong. 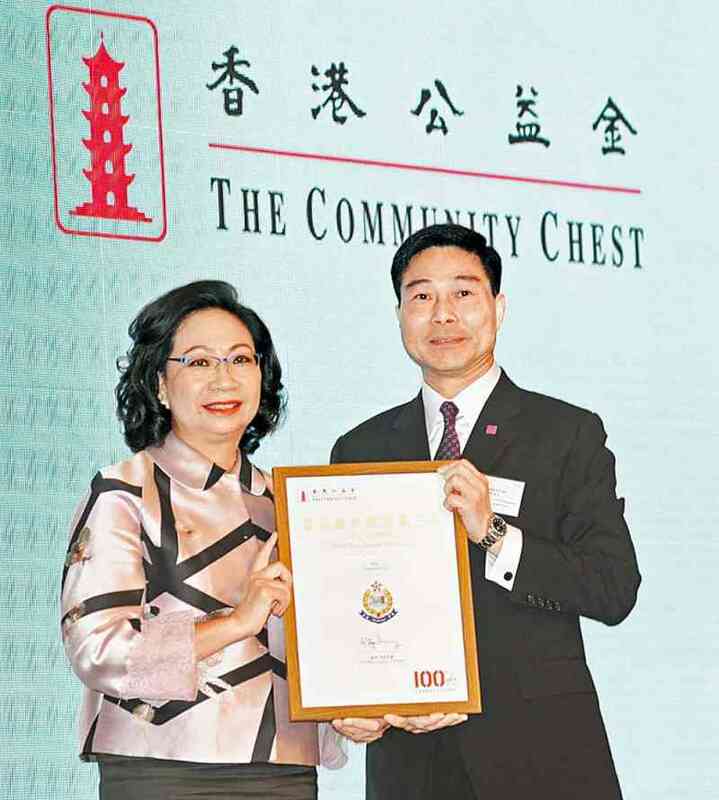 Deputy Commissioner (Management) Chau Kwok-leung received the award on behalf of the Force at the Hong Kong Convention and Exhibition Centre on June 26. Earlier in May, the Force has clinched the second runner-up of the "Highest Donation Award for Community Assistance Raised by Employees (CARE) Scheme (Civil Service Category)" for 2016/17, fully demonstrating the Force's commitment to discharging social responsibilities and caring for the community.